Angel Rentals, in the area North of London, holds true to its name- angelic. From period Angel Rentals to booming restaurants and bars. There’s a charming cultural atmosphere, and eclectic mix of locals, this stately area has everything you could ever need and more. While Angel Rentals are on the higher scale of rents, you’ll certainly find a lovely upscale home for your money. With a convenient central location, Angel rentals are close enough to all the attractions of the City. Yet, Angel still retains its own country small town and village feel. 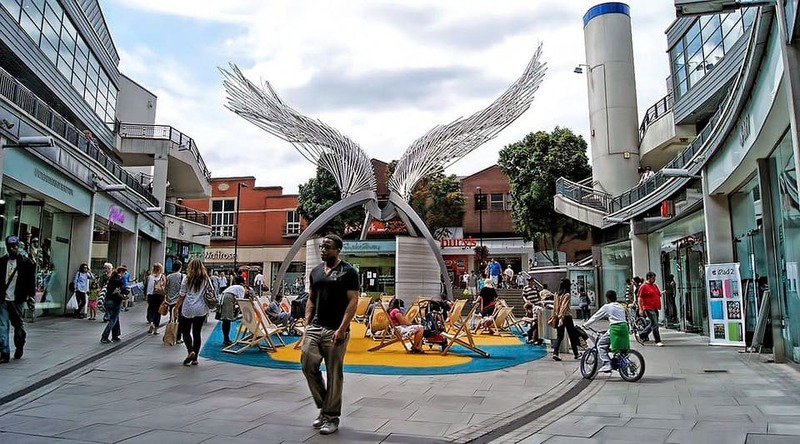 Angel is situated in the north center of London and is part of the London Borough of Islington. The most popular part of Angel is Upper Street. This street alone is one of the main reasons why young people are drawn to live in the area. Locals filling the Angel rentals that call Angel home are a mix of city dwellers and artistic types, seemingly savvy to the vast range of shops, cinemas, and vintage boutiques Angel has to offer. Whether you prefer a cozy night at the theater or a night out on the town, Angel will not disappoint. For the art enthusiasts, there are a variety of places to visit. One being the Candid Arts Trust, which lies close to Upper Street, that is known to showcase the workings of recent art graduates. The Almeida Theatre just off Upper Street and is similar but on a smaller scale. The Almeida is another very popular theater to visit, putting on a variety of plays. If you’re more in the mood for going out there are plenty of good bars to choose from on Upper Street within walking distance to many Angel rentals. If you’re feeling hungry, whatever food your heart is in the mood for, Angel’s array of local restaurants promises to not leave you on an empty stomach. Want to know more about Angel Rentals? Shoppers, unite! Angel certainly has no lack of places to spend your well-earned money. The N1 Shopping Centre includes a unique selection of boutique shops, while also housing some more well-known stores such as H&M, Gap, and Waitrose. Farah, a quirky charity shop who takes vintage clothes and reworks them into a more modern style, is also in a central location on the high street. Shopping at Farah is guilt free, as all the proceeds go to the Farah foundation. If you’re more of a crafter, Cass Art is also located here. Cass Art sells the likes of everything your crafty desires may inspire you towards; ranging from sketchbooks, paints, easels, and an extensive children’s craft selection. For a fun cocktail hour, many locals suggest the House of Wolf; once an old Victorian dance hall is now transformed into a three-story pub and restaurant. Their main feature, an ‘apothecary’ bar on the middle floor, and on Sundays bottomless mimosas paired with an all-you-can-eat roast. If you’re not in the mood to cook yourself a meal, there are a number of options to treat yourself to. To spice things up, check out Chilango, voted the best Mexican restaurant in all of London. Chilango has a gourmet selection of fresh burritos, tacos, and wraps, easily making it a favorite amongst not only locals but Londoners far and wide. The famous TV chef Yotam Ottolenghi, opened his second London restaurant in Angel, featuring his Mediterranean-inspired dishes. If you aren’t in the mood for a sit-down meal, they’re also a part deli, for a quick grab and go bite. While it is on the pricier side, the rave reviews say it is worth the money. Gibson Square Park, a beautifully kept garden square between Upper Street and Liverpool Street, is a quaint place to head for a breath of fresh air. Surrounded by Georgian houses, the gardens at the center contain superb gardens with a variety of paths and mini-lawns. Locals are drawn to this square to have a sit after a long day of shopping at the high street to take a little break and take advantage of the view. Culpepper Community Garden is another popular site amongst the locals. Located right on Dignum Street, this peaceful oasis is a great place to come get your green thumb on! The residents of Angel come to this well-established community garden to read a book, volunteer to plant, and appreciate the pond. Angel is served by a tube station on the Northern and Victoria line, and a nearby Overground station at Highbury and Islington. Buses are also located throughout Angel to take you just about everywhere you need to be in London. The famous Kings Cross and Old Street are a mere 20-minute walk from Angel, making the various pubs and restaurants of Shoreditch a synch to get to.